Yes, we are off to another fantastic season. Chickens out on fresh pasture, pigs galavanting around in the tall grass, the vegetables bountiful and beautiful, growing quickly in the long daylight hours of the season. As we kick off the season, let’s introduce the faces that work hard to bring wonderful great food to the local community. 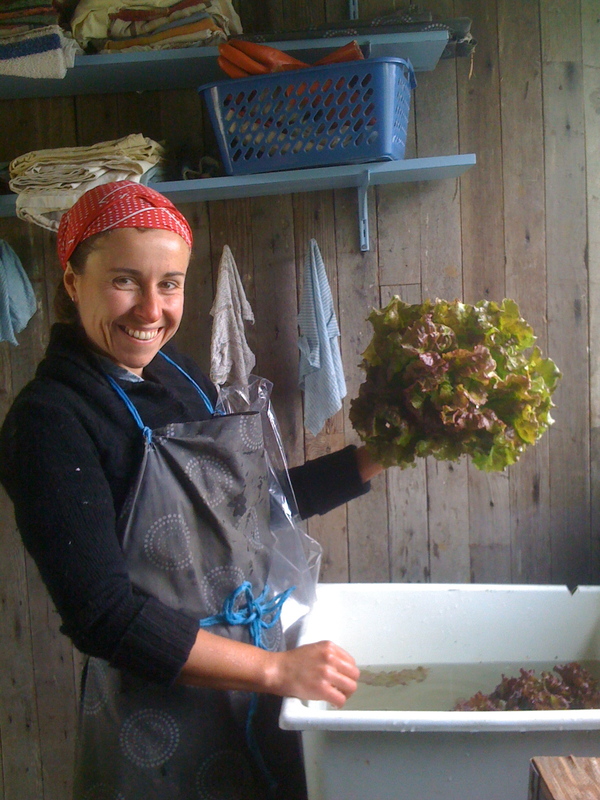 Sarah McMillan, Rootdown Farm Founder, Co-owner and Farmer. Favorites on the Farm include weeding, time under the Maple Tree, continued learning and more weeding. 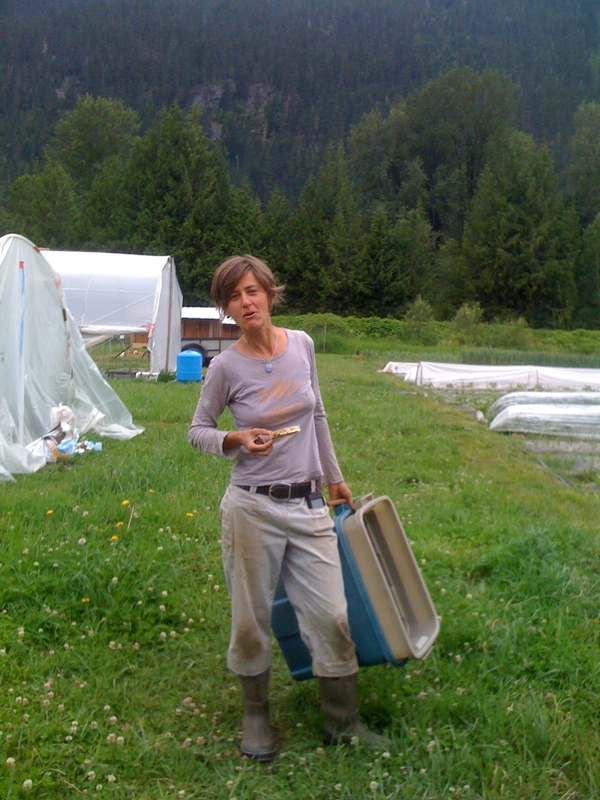 Simone McIsaac, Rootdown Farm Co-owner and Farmer. Favorites on the Farm include the thousand and one uses for the utility trailer, time out in “Piglandia”, and that there is never a dull day at the “office”. Emily, Apprentice-Favorites include releasing the chickens in the mornings, using a great mind to solve farm related challenges, outdoor hot water showers with views of Mt. Currie. 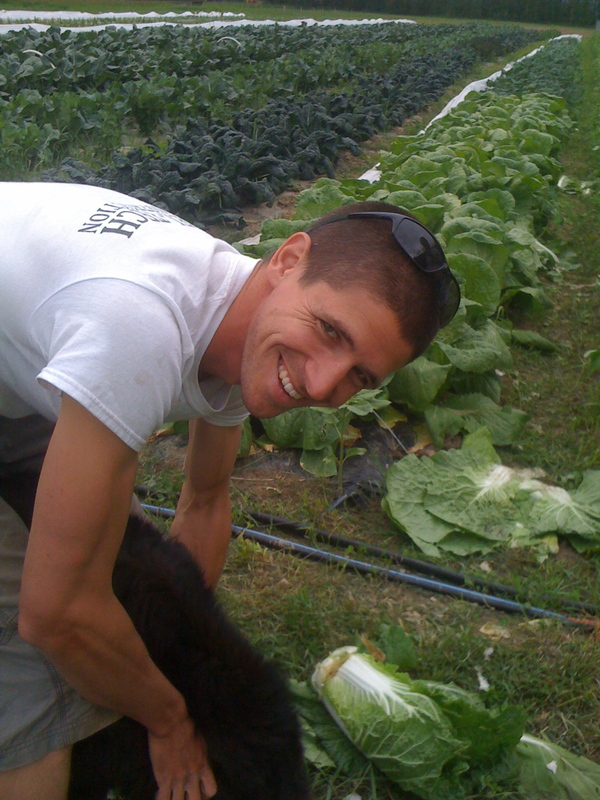 Sam, Apprentice-Farm Favorites include mowing, the reward of a well-mixed, well-applied round of fertigation, sheep dialogue, time spent watching bats in the in barn and the benefits of boots when feeding the pigs. 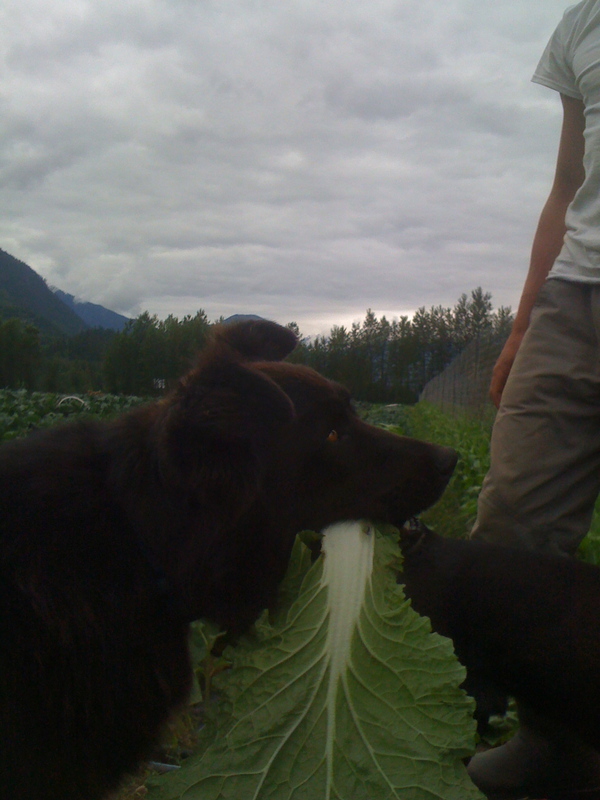 Buster, Farm Dog-Favorites include radishes, carrots, napa, compost, chicken (or sheep) poop, and long naps under the truck. 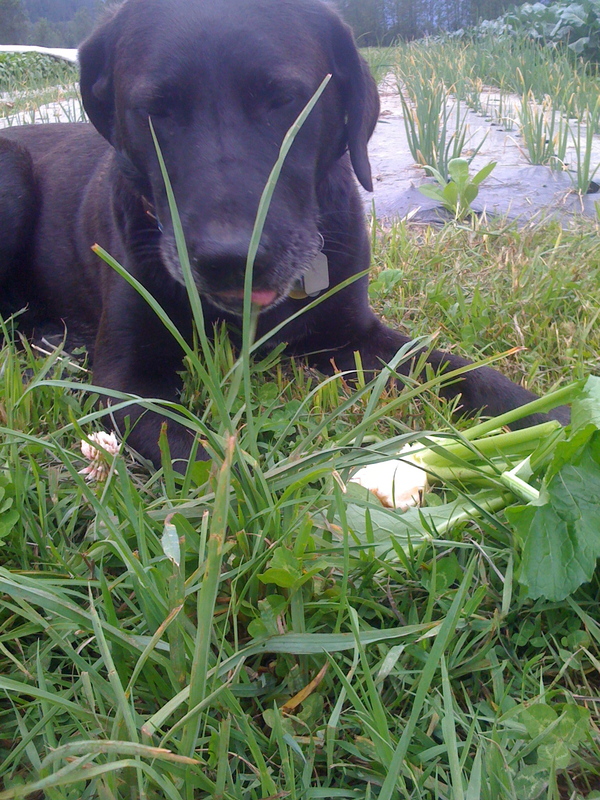 Hunter, Farm Dog-Favorites include searching for voles in tall grass, following Sam, zucchinis and farm life in general.